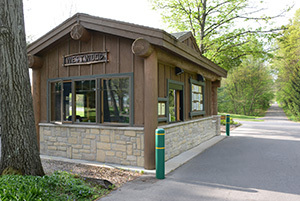 The Westwood Park Gatehouse is staffed around the clock during the open season and can be accessed by phone or in person for any questions or concerns you may have. There are two shifts of gatehouse attendants during the day and a night watchman, so feel free to call or stop by anytime. We accept cash, checks and most credit cards. The sooner we are made aware of any problems, the more quickly we can resolve them. All calls will remain confidential.